SOMOS ARQUITECTOS PUBLICATIONS: ARTE Y CEMENTO. SPECIAL ISSUE ON FAÇADES. ARTE Y CEMENTO. SPECIAL ISSUE ON FAÇADES. SOMOS.arquitectos published in ARTE Y CEMENTO, vol 34. 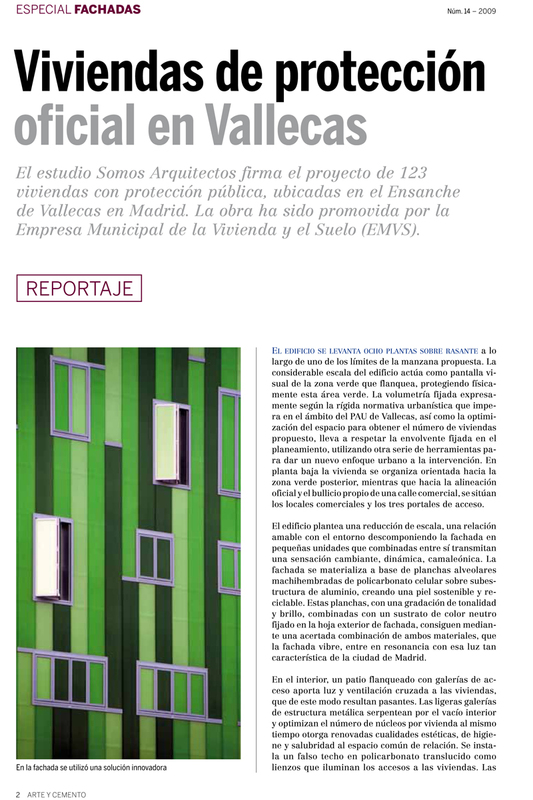 First prize in the construction of 123 social housing EMVS in Madrid. Vallecas 51. Special issue on façades.